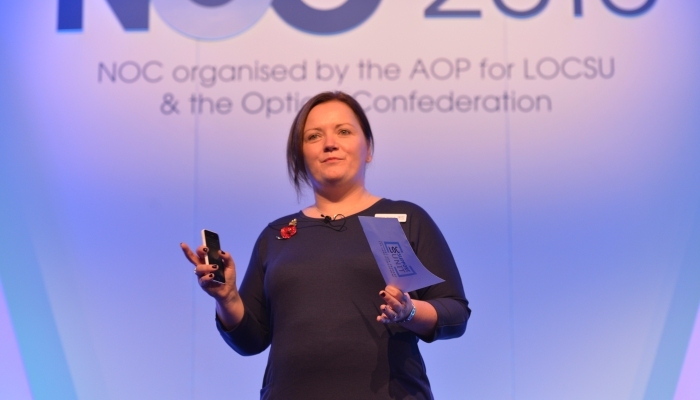 Katrina Venerus, Managing Director of LOCSU, thinks tapping into the skills of optometrists in high-street optical practices as an 'obvious part of the solution' to alleviate pressures on GPs and in eye clinics. Here, Katrina explains why. Every year there are around 7 million ophthalmology outpatient appointments along with five million GP and 400,000 A&E eye-related visits in England. Yet, a significant proportion of these could be delivered by optometrists and meet the key aims of the NHS Five Year Forward View to dissolve traditional boundaries, use the most appropriate health professional and deliver care closer to home. A recent study identified suggested that primary care as currently delivered in England could be reaching saturation point. When it comes to eye problems, universal commissioning of ready-made solutions such Minor Eye Conditions Services (MECS) would allow the community optometrist to become the first point of contact for patients with non-emergency eye problems, taking the strain off GPs and mirroring the arrangements already in place in Scotland and Wales. With the burgeoning capacity problems hospital eye services are facing, it is also time to scale up services to deliver routine follow-ups in the community for patients with conditions such as glaucoma. Where these services exist, patients with low-risk conditions are identified by the consultant ophthalmologist as suitable for management by trained optometrists in practices that have the required equipment. At the Local Optical Committee Support Unit (LOCSU) we support community optometrists and opticians to work with commissioners, Acute Trusts and other stakeholders to redesign local care pathways and have developed a suite of national pathways and other tools to facilitate change. Such is the growing demand for this support, we have recently doubled the size of our dedicated team that is on hand to advise on eye care commissioning. To their credit, around 30% of CCGs in England have already commissioned the LOCSU MECS pathway (or an equivalent) meaning that patients with eye problems who contact their GP surgery can be directed to the network of local optical practices for an assessment. However, the current piecemeal approach to commissioning has resulted in fragmentation of services with patient access being dependent on which CCG their GP belongs to. CCGs working together over a large footprint is the answer to a more cost-effective and efficient approach to commissioning eye services, something that we hope will be addressed as part of the Sustainability and Transformation Plans. Katrina Venerus is Managing Director of LOCSU. Read the Health Service Journal's article, Seeing the high street's potential about using primary care to manage the demand on eye clinics.